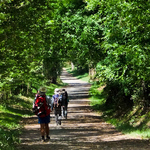 Pilgrim routes are popular these days and many people walk the Camino de Santiago in Spain, but few have heard of walking the Way of St Francis. 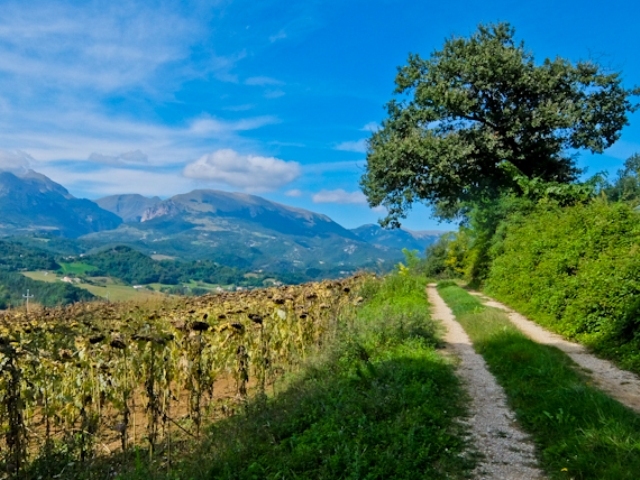 Rupert Parker walks the route from Le Marche to Umbria. In fact there are a number of routes, all inspired by the 13th century saint, and not strictly historical pilgrim trails. 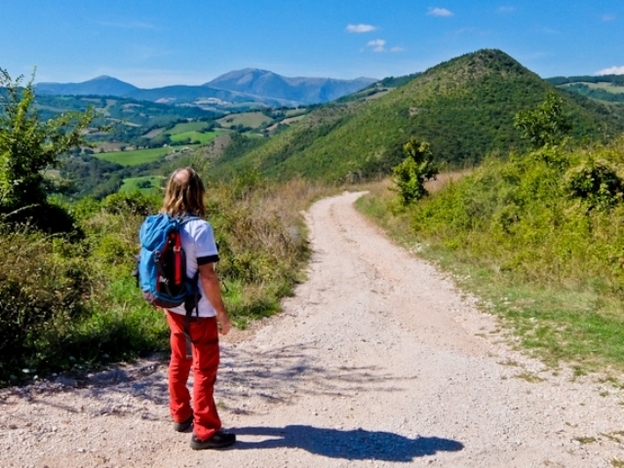 Still the paths have been devised to connect spiritual places associated with St Francis, and you can even start in Florence and walk all the way to Rome. 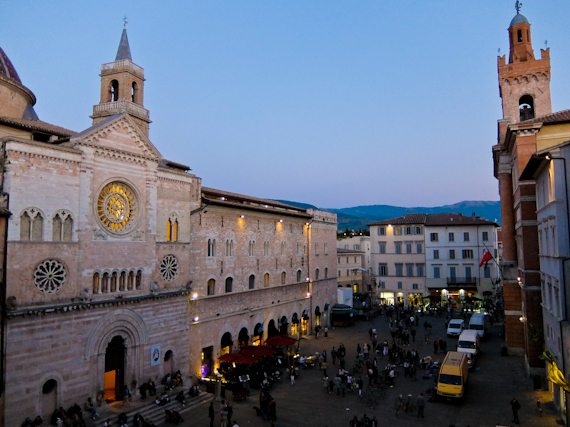 I’m taking a shorter route, known as the Francescano della Marca, from Ascoli Piceno, in Le Marche, to Assisi in Umbria. They say that the saint walked this way in 1215 when he set out to preach in Southern Marche. 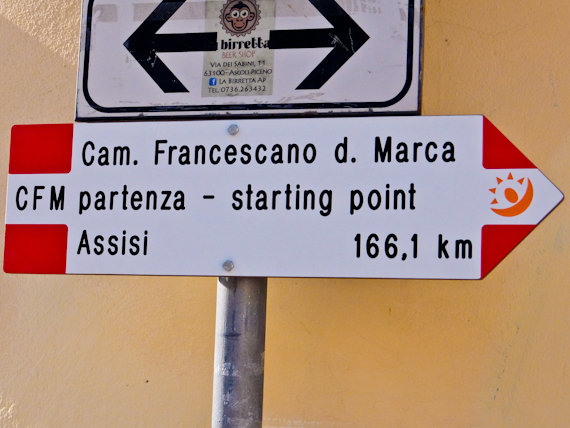 These days you do 167 km in eight stages, and it takes just over a week. Before I get going, I visit Loreto for a blessing and receive my pilgrim credentials. 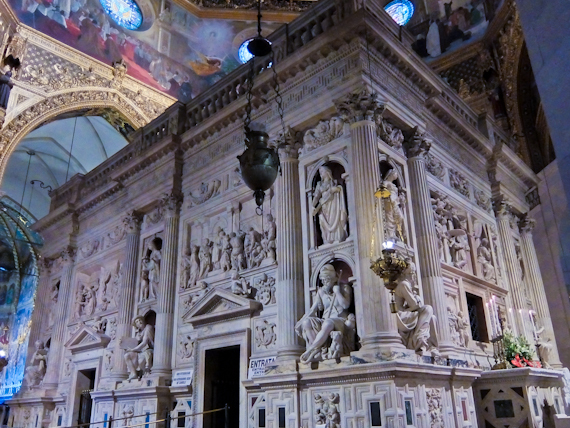 The Basilica della Santa Casa, in Loreto, is itself a famous Catholic place of pilgrimage as it contains the stones from the Nazareth home of the Virgin Mary. They say the house was carried here on the wings of angels but it’s more likely that it was brought back by crusaders after Saladin occupied Jerusalem in 1187. The late gothic Basilica sits at the top of a hill and it’s certainly impressive. I feel proud to be given my marching orders by the priest inside the holy shrine. This is my starting point, although St Francis did the walk in the reverse direction. He ended at the Cathedral so he could pay tribute to another saint whose bones are contained in a Roman sarcophagus inside. Saint Emidio was a 4th century Roman martyr and apparently protects Ascoli from earthquakes since it’s never been hit, unlike other towns in the region. I pay my respects and set out from the beautiful renaissance Piazza del Popolo and leave the town. As I get out into the countryside, the road turns into a pebbled track weaving its way gently through olive groves. High above me are the ruins of a castle, once occupied by a family of brigands who used to dress as monks and rob pilgrims. 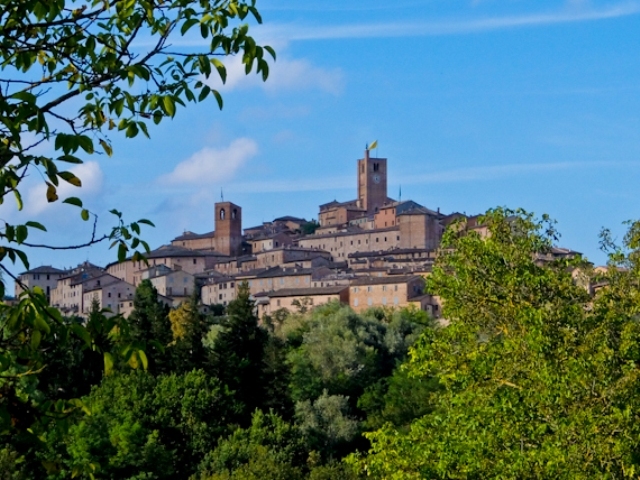 This is one of the region’s many hilltop towns, with medieval houses spiralling up to the summit. From a distance it’s capped by two square towers, one of the church of Santa Maria Assunta and the other of the Palazzo del Popolo. They’re on the Piazza Alta and you’ll find the town’s other medieval municipal buildings here. 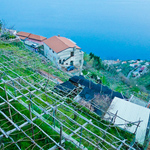 They could have done with the protection of Saint Emidio as the recent earthquake did serious damage. Although the towers are still standing, entry is forbidden until engineers have assessed the scale of the damage. 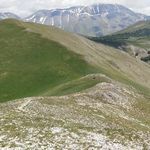 This is not a hard walk, with no serious uphill, and the trail only reaches around 1000m as it crosses the Apennines. To my left are the more formidable Sibillini Mountains, dominating the skyline and rising to almost 2500m. The name comes from the legend of the Sibyl, a female oracle, thought to be able to foresee the future who lived here in a cave during pre-Roman times. In the middle ages the mountains were thought to be haunt of demons, wizards and fairies, and many people tried to find the Sibyl. Unfortunately the entrance to the cave has been damaged by earthquakes and is no longer accessible. This tiny town is in the middle of the Piani di Colfiorito, a wide plateau where cereals have been cultivated since ancient times. The Roman city of Plestia once controlled this important route through the Apennines but it was abandoned in the 10th century. 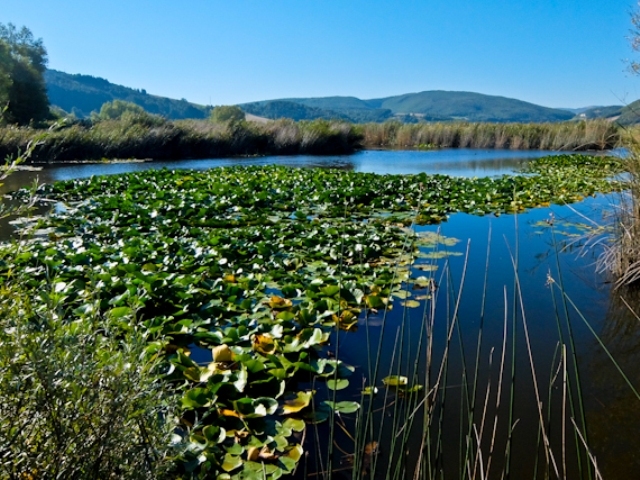 Close by is the Regional Park of Colfiorito, the smallest protected area in Umbria, consisting of marshland and home to many species of birds. It’s a beautiful spot and it’s worth a stop to walk around the lake and enjoy the wildlife. The biggest town on the route, Foligno was damaged by the earthquake of 1997, but it’s now been restored to its former glory. The central Piazza della Repubblica has a cluster of historic buildings including the 12th century Cathedral of San Feliciano, the imposing Palazzo Comunale and the Palazzo Trinci. This was built at the turn of the 14th century and houses an archaeological museum and the city’s picture gallery. It’s worth climbing to the Sixtus IV Hall, on the second floor, which is richly decorated with frescoes and has a wooden ceiling inlaid with the coat of arms of the pope. The narrow medieval streets of the town are clustered with bars and restaurants, perfect for enjoying an early evening aperitivo. 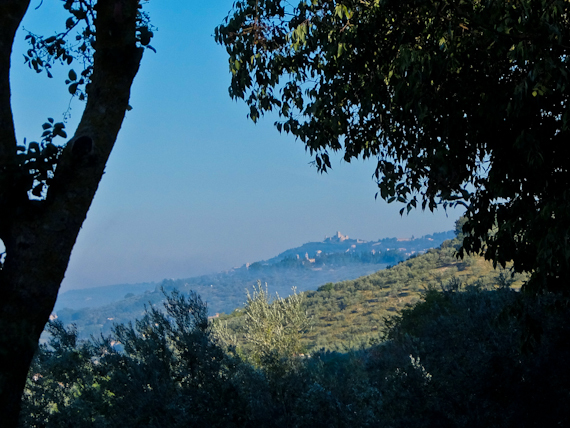 On my final day, Assisi beckons in the far distance, getting closer all the time. I enter through the Porta Nova and find a well maintained medieval town, surprisingly not too overwhelmed by tourists. There are no shortage of churches here, including the converted roman temple of Minerva in the main square but I’m aiming for the Basilica di San Francesco. In fact it’s actually a double decker of a building with two churches on top of each other. As you’d expect, the lower one was built first between 1228 and 1230 and in the crypt lie the remains of St Francis. The upper Basilica was begun after 1239 and its walls are decorated by one of the world’s most famous works of art, the frescos of Giotto and his pupils. They depict 28 scenes from the life of St Francis, starting to the right of the altar and run clockwise around the church. Above each one is a corresponding image from the Old and New Testaments, an attempt to convey the bible to people who couldn’t read or write. It’s hard not to be moved by these scenes, even if you’re not remotely religious, and it’s a fitting climax to my week following in the footsteps of the saint. Accommodation is slightly limited walking the Way of St Francis and the best way of getting a good night’s sleep is to take a tent. Otherwise you can try your luck by knocking on doors and asking for a bed. There are good hotels in Ascoli, Sarnano, Colfiorito, Foligno and Assisi, but you’ll probably need a taxi to get to the places in between. Trekking the Way of St Francis is a useful guide published by Cicerone, but it only has the main routes. Ryanair flies from Stansted to the airport of San Francesco d’Assisi, about 10km outside town. 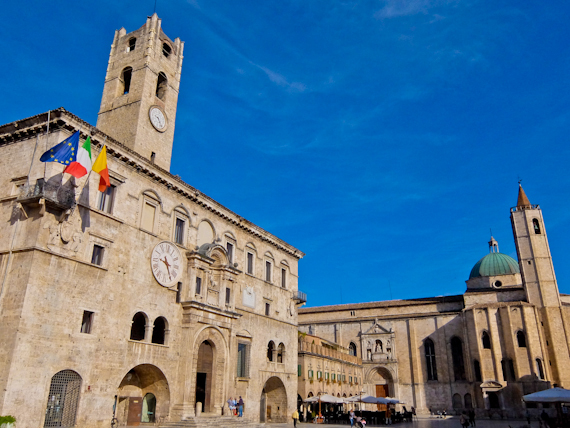 There are also flights to Ancona, but you’ll need to take a Trenitalia train to get to Ascoli Piceno. 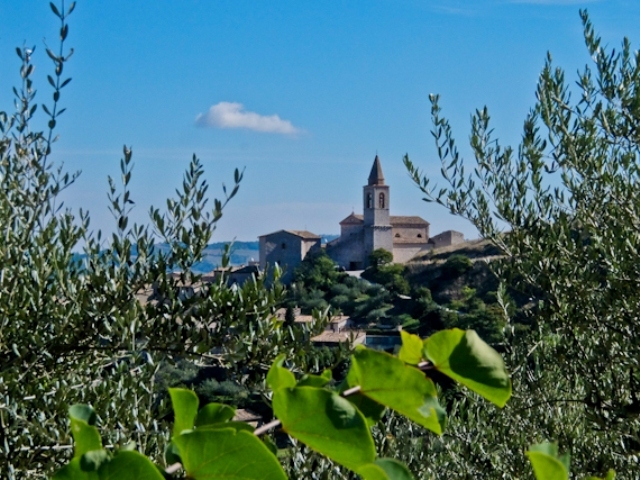 Visit Marche has information about the region. 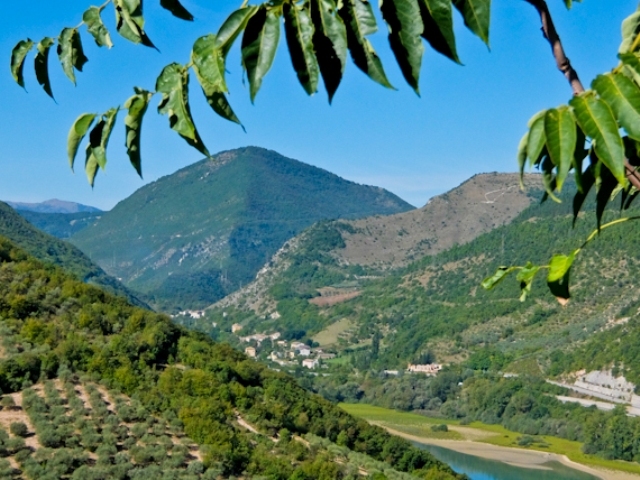 Umbria Tourism has information about the region.